Your Move Estate Agents Bury are in The Rock, the busy and vibrant shopping centre in the heart of Bury. We are easily accessible by bus, tram or car and there is ample free parking near the branch. We offer a full range of services for buyers, sellers, landlords and tenants, including conveyancing. You can book a free valuation with Your Move Bury, whether you are selling or letting, with no obligation to instruct your property. 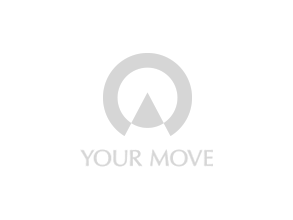 Your Move Bury offers extensive marketing exposure for anyone looking to sell or let a property in Bury, Heywood and the surrounding areas. Our local network of branches in Radcliffe, Oldham and Bolton, as well as our nationwide branches, helps us find you suitable buyers and tenants quickly. We are registering lots of new buyers and tenants on a daily basis, meaning we have customers ready to be introduced to your property immediately. As one of Bury's most popular Estate Agents Your Move has property available throughout the area. From SunnyBank to Summerseat and stretching across from Heywood to Holcombe. We have property to suit every price range with terraced houses in 'Fishpool' starting from £65,000 to detached homes with land for £485,000. Find out more about the Bury property market.